3. The Marriage of Maria Braun -- This tends to be most people's favorite; a lot of people put it in their top tier of Fassbinder films period. 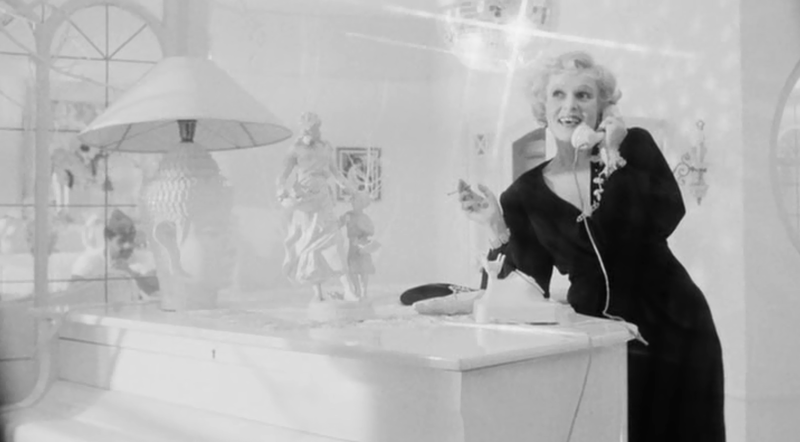 I'm less enamored of it than most since I'm less enamored of Hanna Schygulla whenever she's his lead -- I prefer her playing the pretty girl the movie hates a la The Bitter Tears of Petra von Kant. Fassbinder movies weren't meant for pretty leads. But it's a gorgeous film and I need to re-watch it, it's been a very long time. 2. Lola -- As sickeningly technicolor as Querelle, but not nearly as actively off-putting as that flick (of course I consider "actively off-putting" a compliment, so your mileage may vary). Barbara Sukowa (just seen in Gloria Bell earlier this year!) always feels like Fassbinder's Tippi Hedren to me -- a cipher and novice who the director can mold into whatever he wants her to be - but my god, what a mold. 1. 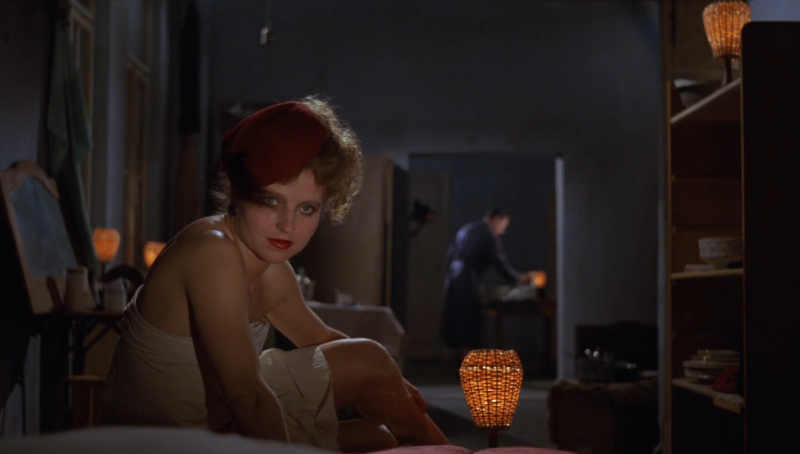 Veronika Voss -- One of my own personal top tier Fassbinder films, among my very faves. Calling it simply black-and-white does it a disservice -- it makes black-and-white feel like an entire spectrum of color. It's absolutely dazzling. Rosel Zech is dazzling herself in the lead, and it's one of my favorite of his stories. Kinda needless to say when we're talking Rainer but it's tremendously depressing though. Although "sad" might be a better word for what it's serving. It is very very sad. Have you seen all three? How would you rank them, if so? And you can pre-order your copy of the blu-ray today. In 1977, German director Rainer Werner Fassbinder was thirty-two years old and had already directed more than twenty-five feature films. That summer, he embarked on a project to trace the postwar history of West Germany in a series of films told from the perspectives of three remarkable women. 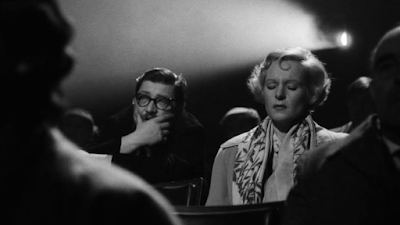 Fassbinder's The Marriage of Maria Braun, Veronika Voss, and Lola -- The BRD Trilogy -- would garner him his greatest commercial success, both at home and abroad, and cement his position as one of the foremost figures of the New German Cinema. Maria (Hanna Schygulla) marries Hermann Braun in the last days of World War II, only for him to go missing in the war. Alone, Maria puts to use her beauty and ambition in order to find prosperity during Germany's "economic miracle" of the 1950s. Rainer Werner Fassbinder's biggest international box-office success, The Marriage of Maria Braun is a heartbreaking study of a woman picking herself up from the ruins of her own life, as well as a pointed metaphorical attack on a society determined to forget its past. A once-beloved Third Reich-era starlet, Veronika Voss (Rosel Zech) lives in obscurity in postwar Munich. Struggling for survival and haunted by past glories, she encounters sportswriter Robert Krohn (Hilmar Thate) in a rain-swept park and intrigues him with her mysterious beauty. As their unlikely relationship develops, Robert comes to discover the dark secrets that brought about the decline of Veronika's career. Based on the true story of a World War II Ufa star, Rainer Werner Fassbinder's Veronika Voss is wicked satire disguised as 1950s melodrama. Germany in the autumn of 1957: Lola (Barbara Sukowa), a seductive cabaret singer-prostitute, exults in her power as a tempter of men, but she wants more-money, property, and love. Pitting a corrupt building contractor (Mario Adorf) against the new straight-arrow building commissioner (Armin Mueller-Stahl), Lola launches an outrageous plan to elevate herself in a world where everything-and everyone-is for sale. Shot in childlike candy colors, Rainer Werner Fassbinder's Lola, an homage to Josef von Sternberg's classic The Blue Angel, is a wonderfully satirical tribute to capitalism.